Plumbing Leak Insurance Claims - ALL RISK PUBLIC ADJUSTERS "
At ALL RISK Public Adjusters our goal is to ensure you get a fair settlement for your plumbing leak insurance claim, whether it be a burst washing machine hose, appliance leak, burst frozen pipe, leak around tub or shower edges, toilet overflow or water heater leak. We have helped many clients in Pennsylvania, New Jersey, Delaware, and Maryland fully recover from a plumbing leak, in some cases where the entire inside of a property was destroyed. We can help you, too. 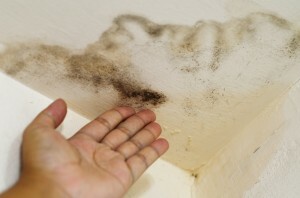 Plumbing leaks often lead to concerns over mold damage and black water loss. Black water refers to sewage water. If you have a black water loss, special care must be taken. Certified hygienists must determine the scope of the problem and the proper remediation protocol. After remediation, a certified hygienist must be brought back on sight for clearance testing. Because of these extra precautionary measures, the cost of recovering from a black water loss can be much higher than a normal water remediation job. 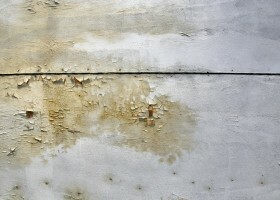 Regardless of the type of plumbing leak you experienced, it is critical that the drying process be correctly executed. Depending on the damage, this may include pulling up carpet, replacing padding, removing baseboards and cutting walls to air them out. In the case of a black water loss, drywall and insulation may also need to be removed to allow for cleaning and sanitization of the structure. Finally, it is worth noting that in some states insurance companies are reducing or eliminating coverage for water losses. 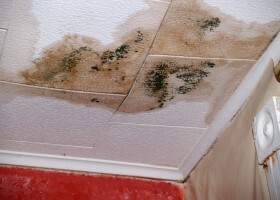 For example, some companies are not covering the whole loss of a plumbing leak over 14 days old. This can have a significant impact on your ability to recover if you experience a plumbing leak while traveling or in a second home. Furthermore, tests have become available that determine how long a plumbing leak has occurred based on the state of wood and other materials. Some insurance companies use these tests and do not cover any damage resulting from the first 13 days of a plumbing leak. Research has shown that five of the top ten insurance claims are plumbing related. If not handled properly, the insurance claim and your recovery can be severely impacted. Let our certified public adjusters handle the claims process on your behalf.